To access, all you need to do is sign into your account and click on the calendar icon next to your sign up commitments. (You’ll see this under “Items I Signed Up For.”) From there, you can choose to either add individual events to your digital calendar or all of your sign up commitments. Voila! 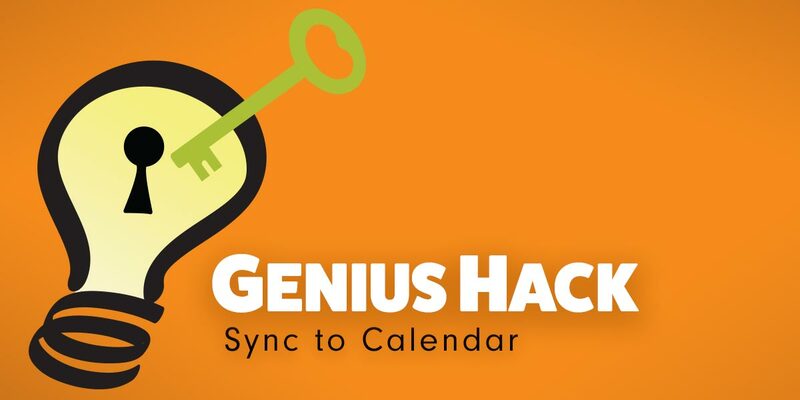 Once you choose to “sync everything,” your sign ups will automatically be added to your digital calendar now and in the future. Plus, if you simply want an easier way to sign up for a slot based on the date, you can use our Calendar View feature. You’ll click on the “Calendar View” button at the top right of the individual sign up page — near where slots begin. You can also toggle back to the traditional “List View” whenever you prefer. Need more advice or tips? Browse our FAQs for answers to common questions or contact our award-winning customer support staff. And stay tuned for more weekly Genius Hacks this fall. Our family uses Cozi for our calendar. Any chance SUG could link to it? I would not recommend using the Calendar Sync option as a way for your families to access the sign ups in your account. Instead, we have a great feature called a Web Button that you can use to create an index page showing all sign ups created on your account. You can embed the web button into your organization's website, or you can simply give out the link to the index page through an email or e-newsletter...you can even put it on Facebook. To create the Web Button, you will log into your account, go to the left side of your account page and scroll down the list of options until you see: *Goodies*. Scroll past the logo options until you see the column heading for: *Web Button Builder*. Follow the steps to build a button. You will see the code to use if you plan to embed the button into your website. If you wish to post the index page link, and not embed a web button, please click the created button (above the code) and it will take you to the created index page. You can copy the URL in your browser, and this will be the unique link to the index page. You can post this link, or send it through an email, FB, etc. Is there a way to sync to a calendar that an entire school could use. We feel as thougj we are always sending out sign ups but families would love to see them all in one place. The Print Version button will only print in list view. 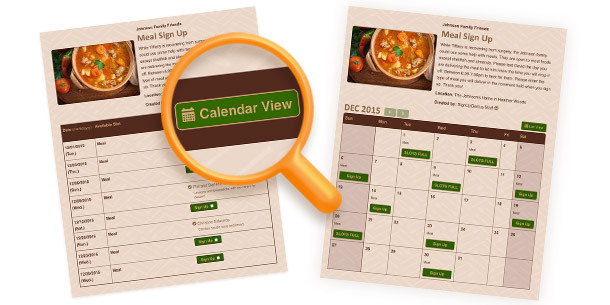 Due to the space constraints of the calendar squares, there is not an option to print your sign up in calendar view. Select the *Print Version* option from the *Admin Toolbar* that displays at the top of the sign up. Click "+" next to *Print Settings*, to see the various options available for printing your sign up. Is there a print option for the calendar view? Will it list everyone who signed up for a particular task on the calendar view or only on the list view? Is there a way to have two administrators? Plus, if you simply want an easier way to sign up for a slot based on the date, you can use our Calendar View feature. 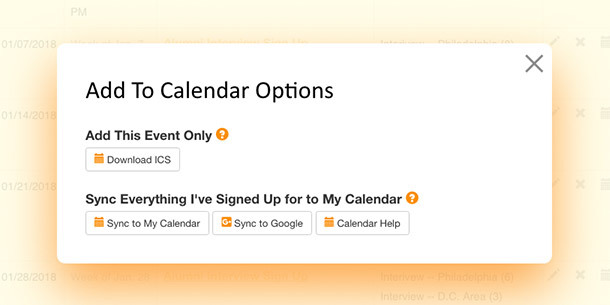 You’ll select “Calendar View” at the top right of the sign up — near where slots begin. You can also toggle back to the traditional “List View” whenever you prefer.